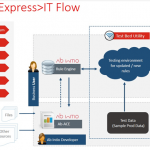 Ab Initio is a popular ETL tools and a Business Intelligence in the market. 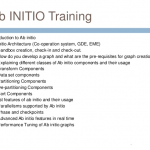 It is a powerful GUI based processing tool for Analysis and ETL Data Management represented by Ab Initio Graphs. These Graphs are formed by parameters, flows and components. 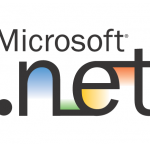 It is a fourth generation tool contains 6 data processing components named Co>Operating System, Graphical Development Environment, Enterprise Meta>Environment, Component Library, Data Profiler and Conduct>It. Co>Operating System: It is a program offered by Ab Initio operates on top of operating system and also it is a base for Ab Initio applications for integration of data processing and communication within the platform. It runs on Windows, Unix, Linux, HP-UX and IBM AIX. Graphical Development Environment: GDE offers and instinctive graphical interface to edit and execute the applications. Drag and drop the components from library connect and configure them in flowcharts. Enterprise Meta>Environment: It is an environment and repository for managing and storing the metadata. It is capable of storing both the technical and business metadata and allowed to access from GDE and Co>Operating system. Component Library: It is a reusable software to sort, transform the data and in loading and unloading the high-speed database. Data Profiler: It is an analytical application to specify data range, distribution, variance, scope and quality. It runs on top of Co>Operating System in graphical environment. Conduct: It unites graphs from Graphical Development environment with programs and scripts from other hawkers. 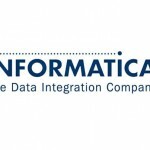 It is graphical high volume data processing and analysis system tool. BigClasses is one of the best online training organizations offer Abinitio training. We have qualified and experienced faculties who are responsible for taking the online sessions. We provide study materials and 24 hours support to our national and international learners as well. If you are interested in Abinitio online training, contact us for the detailed course and the free demo classes.